The Google Nexus 7 is a fulfillment of a promise made last year by Nvidia, that they would soon offer a $200 tablet with the power of their latest quad-core mobile architecture. In practical terms, that means an Android tablet with the raw processing power of flagship tablets but costing a third of the price. Have Google crafted a masterpiece, or were too many corners cut to hit that remarkable price point? Let’s find out. 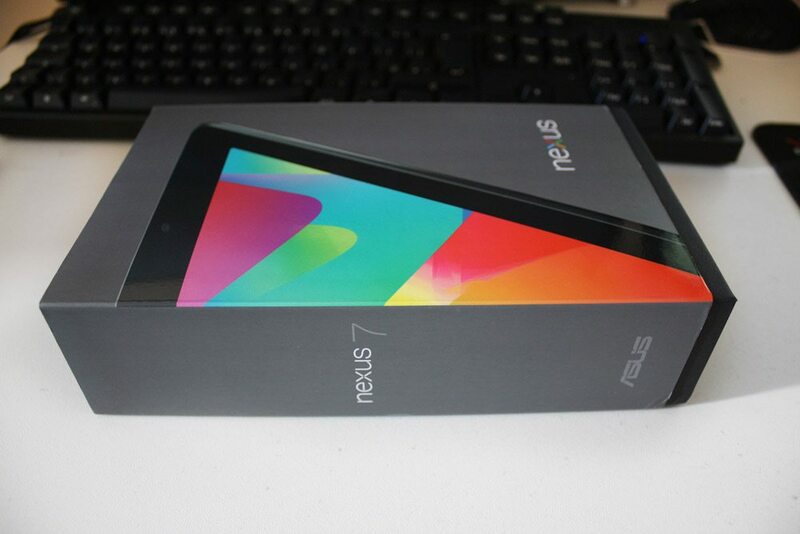 The Nexus 7 comes in a well crafted box similar to that of the Galaxy Nexus, with a large picture of the Nexus cropped in such a way to make a seven shape. Turning over the box, we see a spartan group of features delivered in English only – no myriad European and East Asian languages here. The typography and overall design mirrors that of the Jelly Bean operating system, with the Roboto font used and the standard light blue on dark grey colour scheme. Inside the box, there’s a black inner section that is meant to slide out of the case from the top or bottom, but as many pre-order customers discovered this is much harder than it looks – for whatever reason, the two pieces of cardboard are held together very tightly. Pushing and pulling does nothing, but if you persist with a gentle shaking motion after perhaps thirty seconds you’ll expose enough of the core element that it’s possible to pull it out from there. The inner section is a plain black cardboard box with a distinct texture. 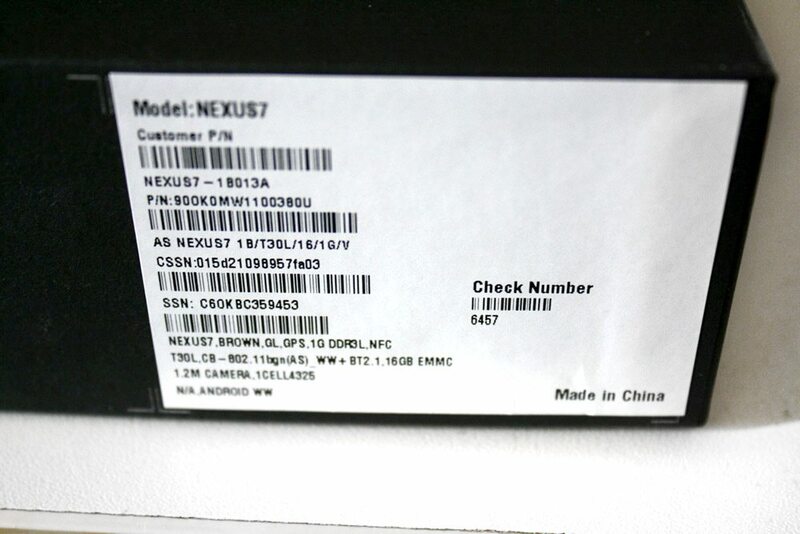 There are few insignias on the box, merely a specification sticker and a monochrome Nexus logo. Turning the box over, you’ll find two stickers. Cut through the heart of these, and you can tip off the lid of the box and finally reveal the tablet itself. 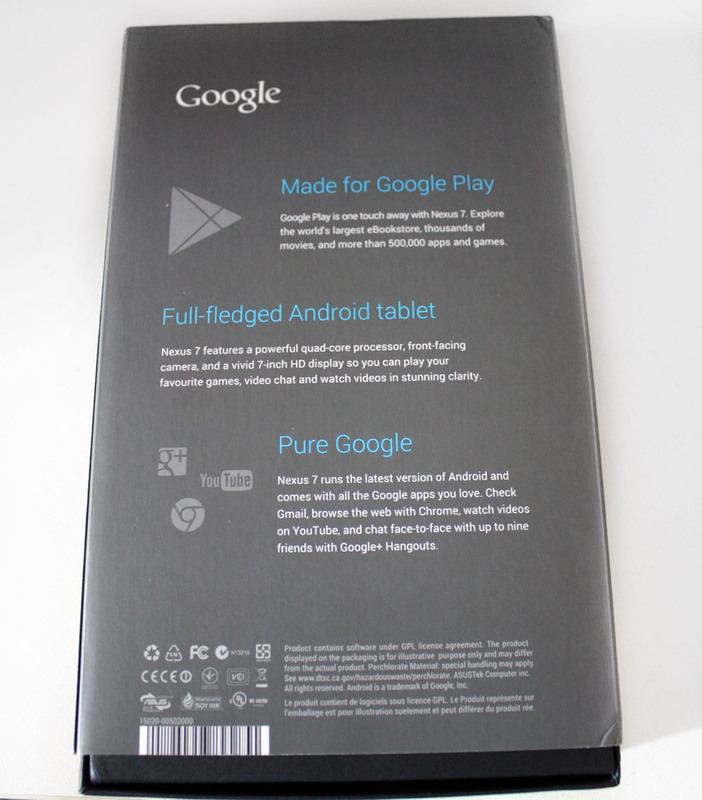 The tablet is wrapped in a thin plastic film at the top of the box. 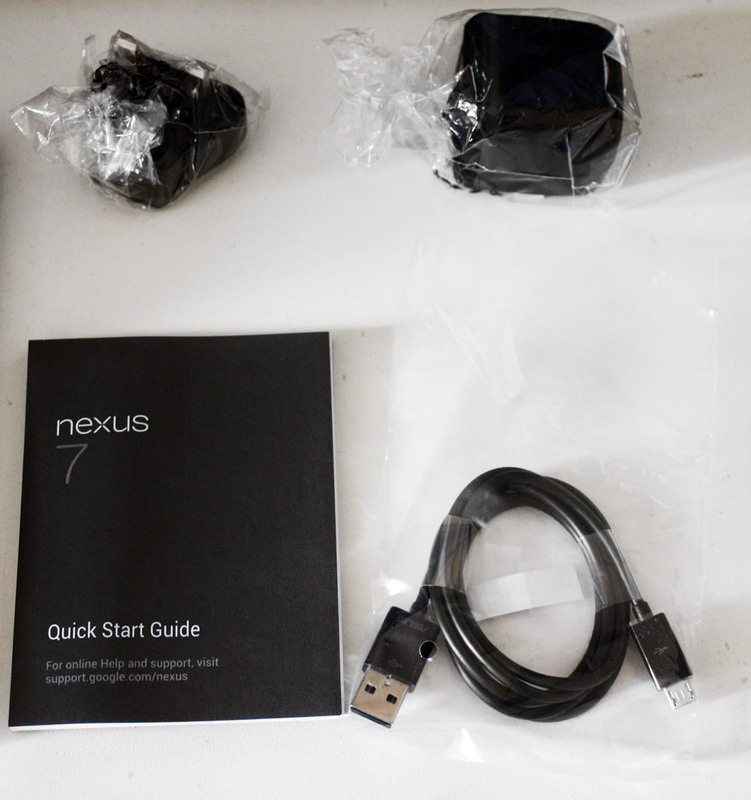 Beneath, you’ll find a three piece charger (UK plug, adapter and USB cable), quick start guide and warranty paper. Each component seems well secured in the high quality box – it feels more like high quality Apple packaging rather than a budget product.